In this program you will learn brain based learning strategies and discover how to listen to, focus and trust your intuition to make important decisions, start a new career, improve your health, find your soul mate, magnetize money and even realize your lifetime dreams. Intuition is emerging as one of the most important personal and professional skills for the 21st century. It is an inherent perceptive skill and can be rediscovered and developed over time using simple tools, techniques, and practices. We’re all born with this inner knowing and when we listen to it and act on what it tells us we’re guided unfailingly towards our hopes and dreams. It’s as if we have an inner compass that points us to success and abundance. You can activate and use your intuition to create the life of your dreams. You will, during this video training with me, learn to distinguish the difference between wishful thinking, fear-based thinking, and intuition, that you can rely on. You will also develop the 12 focusing principles to awaken, refine and develop your inner wisdom along with a Self Awareness exercise to gain insight. You will, as a result, gain confidence to act sensibly on your hunches, make more winning decisions, be “luckier” and balance your thinking for enhanced health and well-being. I. Three (3) modules totaling over 4 hours of a live presentation professional recorded, Q & A, and interactions with the participants. You will learn brain-based learning strategies to help you distinguish the difference between wishful thinking, fear-based thinking, and intuition that you can rely on. You will also develop 12 focusing principles to activate, refine and develop your inner wisdom. You will get a Self Awareness guided exercise to gain insights into your nature and life purpose. Self Awareness exercises to help you gain perspective and stay motivated even when experiencing a setback. Plus a 7 Step Process to enhance your creativity and solve problems and challenges. Eight (8) MP3 downloadable recordings of Ken presenting Intuition & You in a "live" interactive workshop format. 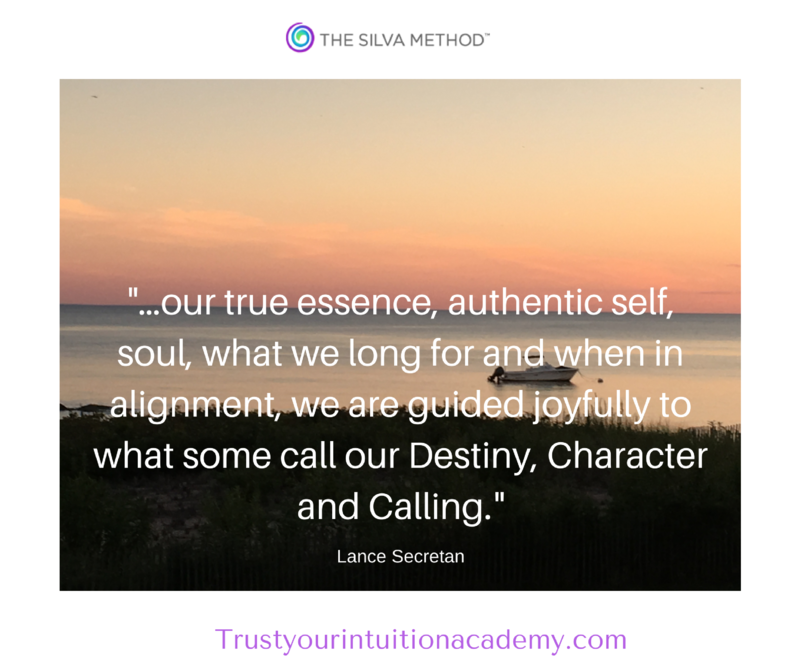 You can easily download to all of your devices to listen again and again to develop and strengthen your intuition trust muscle. 3. BONUS #3 downloadable E-Book - The Simonton Report by Dr. O. Carl Simonton - Oncologist. Learn from one of the pioneers in the emerging field of integrative medicine, as he mesmerizes over 1,500 people at a Silva Mind Control convention in Boston with his breakthrough applications helping his cancer patients. $29 Value. Plus you get a 30-day money back guarantee. If you are not satisfied with your program, a refund may be issued within 30 days of the purchase date. If you do not receive your welcome instructions right away, please notify us so that we can make sure you get started well within the 30-day period. No refunds will be issued after 30 days from purchase. People with a developed sixth sense are able to manifest creative solutions, solve problems and even “pick the right answer”… way beyond the laws of chance. It’s often said that intuition and inspiration are two sides of the same coin. The better your intuition, the more you’ll be able to read people & situations quickly and accurately, and the more you’ll find yourself instinctively “making the right choice”. So stop for a moment and imagine the positive impact on your relationships, career, finances, happiness… and in every important area of your life… when you consistently make the best decision. Learn to tap into your intuition. You’ll be guided to better moments — from that parking spot when you need it, to meeting that next business partner — with ease and a sense of wonder. Best of all… your intuition is simply the whisper of your highest and most authentic self. This means that the more you follow your intuition, the more you’ll live in alignment with your highest self. You’ll start living with more integrity, personal power, and overall fulfillment. Plus, every time you follow your heart you’re one step closer to living your life purpose. When you follow the still, quiet voice within you’ll strengthen your connection with the people around you, which helps you empathize with them. I. Three (3) modules totaling over 4 hours of a live presentation professional recorded, Q & A, and interactions with the participants. You will learn brain-based learning strategies to help you distinguish the difference between wishful thinking, fear-based thinking, and intuition that you can rely on. In fact, it’s more than trainable. It’s a natural skill that we’re all born with. The bond between babies and moms, the high creativity of kids, much of this is credited to our natural human intuition. But something happens, as we get older. Society, schooling, cultural beliefs, our upbringing, all come together to cause us to ignore this sixth sense and function in a logical, five sensory world devoid of the power and dazzling creativity that comes from intuition. We each grow up as adults handicapped from having our natural intuition – permanently shut! Listen, it’s not your fault. But with the right process, you can once again recover your intuitive senses. The Only Thing Holding You Back You is the Resistance within Your Mind! And once you remove this resistance to intuition, you’ll be able to up your intuitive ante in every way and begin experiencing high-level intuitive living. Get a “gut feeling” on vivid, accurate courses of action that rocket you effortlessly towards your business and career goals. Dramatically enhance your learning capacity by freely channeling a limitless sea of information into your mind. Melt away stress in the blink of an eye and experience total relaxation through Alpha and Theta level meditation. Use higher intelligence to create instant and lasting improvements to your relationships. Ken Coscia has been helping thousands of people, just like you, in over 27 nations, develop their intuition to enhance the quality of life. Ken is a specialist when it comes to developing intuition for creative problem-solving. 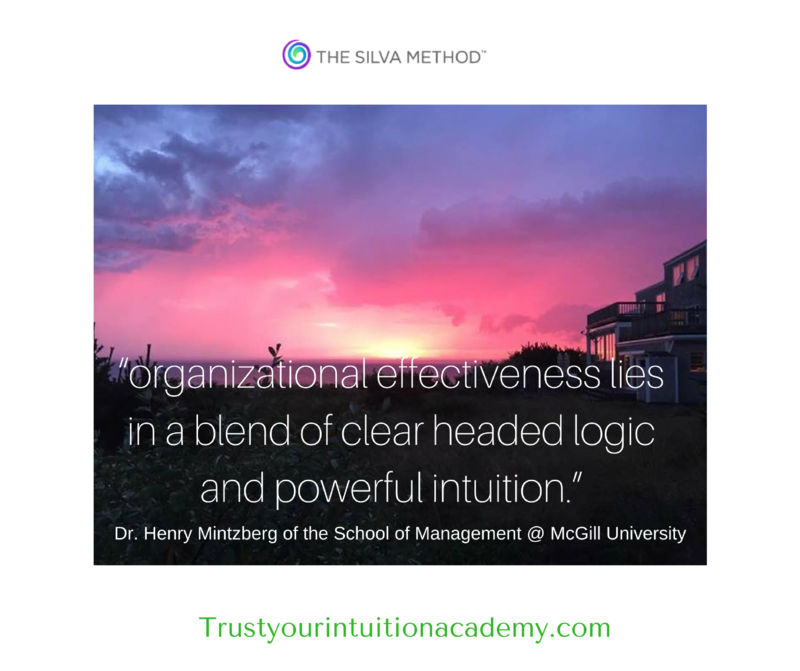 He has in the global Silva Method community, for over 47 years, earned expert status especially when it comes to intuition training. Ken has enjoyed the privilege of helping artists, business owners, entrepreneurs, scientists, students, professional intuitives, psychics and mediums to develop their intuition. 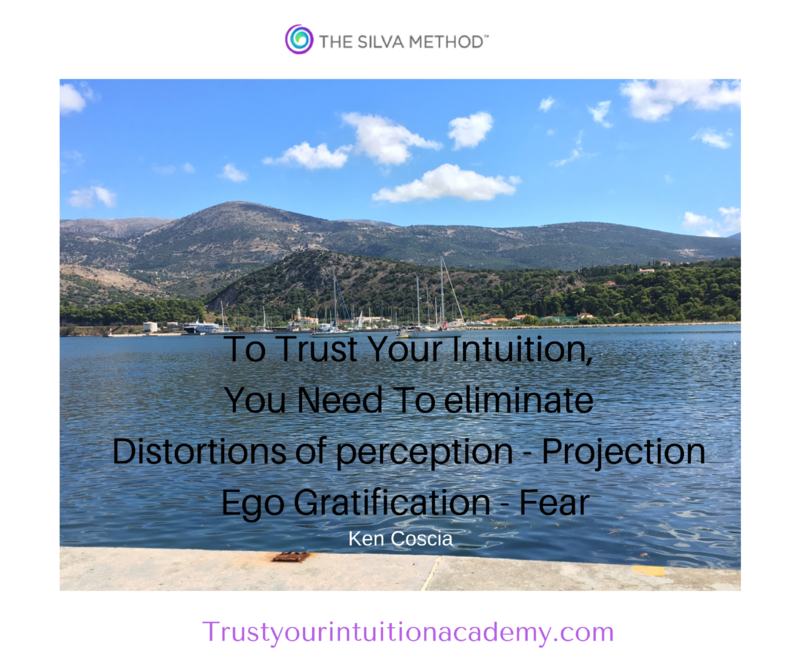 Ken is the "Go To Guy" when it comes to how to train and develop intuition. And NOW it is your time! "My heart sang with joy and I send back thanks and gratitude. How you managed to lecture for two full days and keep everyone focused (indeed, enthralled) well, I take my hat off to you! Personally, I feel as though I've been on the kind of holiday that leaves one refreshed and ready to work again!" "An enlightening experience, well worth the time and expense. I found that attending the session helped me sharpen, polish and go deeper." "I was impressed with the entire presentation as well as your knowledge and insight on so many authors and their research. I am thrilled beyond words". This is just a fraction of what you can expect with total intuitive living. No bells and whistles or slick marketing...Just solid, reliable and applicable content! Three (3) video lessons totaling over 4 hours of a live presentation, Q & A, and interactions with the participants. A $127 Value. Eight (8) MP3 recordings of Ken presenting Intuition & You in a "live" interactive workshop format that you can easily download to all of your devices to listen again and again to develop and strengthen your intuition trust muscle. 3. SURPRISE BONUS #4 downloadable E-Book - The Simonton Report by Dr. O. Carl Simonton - Oncologist. 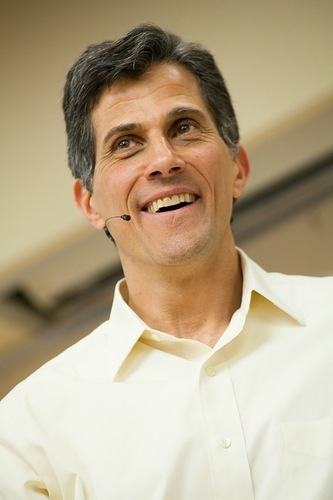 Learn from one of the pioneers in the emerging field of integrative medicine, as he mesmerizes over 1,500 people at a Silva Mind Control convention in Boston with his breakthrough applications with his cancer patients. $29 Value. Plus you get a 30 day money back guarantee. If you are not satisfied with your program, a refund may be issued within 30 days of the purchase date. If you do not receive your welcome instructions right away, please notify us so that we can make sure you get started well within the 30-day period. No refunds will be issued after 30 days from purchase. If you have any questions or need some assistance, you can contact us by email at [email protected] or by phone at 860 674-1009. AWAKEN DEVELOP AND FOCUS YOUR INTUITION TO ACCESS INNER WISDOM FOR CREATIVE PROBLEM-SOLVING. You will also develop 12 focusing principles to activate, refine and develop your inner wisdom. You will get a Self Awareness guided exercise to gain insights into your nature and life purpose. Self Awareness exercises to help you gain perspective and stay motivated even when experiencing a setback. > Self Awareness exercises to help you stay motivated even when experiencing a setback. > How to resolve conflict and create pathways to personal power. > Two guided Dynamic Meditations with Ken. >> A mental Alignment exercise to overcome limiting beliefs and better integrate intuition in your life.